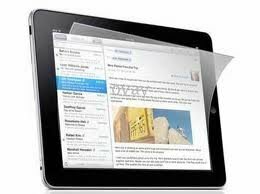 Our durable display protectors are cut to fit LCD diagonal devices including tablet computers, smartphones, cameras, GPS devices, PDA's, and more. Extend the lifetime of your electronic device and keep it looking like new with PosR.us screen protectors! The kit includes (1) universal screen protector, cloth wipe, and applicator. Protects LCD display against scratches. Abrasion and chemical resistant to protect the LCD screen. Eliminates fingerprints on the screen. Reduces glare while providing a pleasing touch surface. Low-tack adhesive removes easily without leaving residue. Protect your expensive devices with PosR.us Screen Protectors today!